You have an e-commerce store and you often need to add new categories and subcategories. Sometimes it gets worse when you have well-contentful categories on your website and you have to copy most of the information from already existed categories. If you need to copy whole categories structure for a new website and you have to repeat this process for a few times it might take hours or even days. With our module Duplicate Category for Magento® 2 you will do such enduring process just in a few clicks. 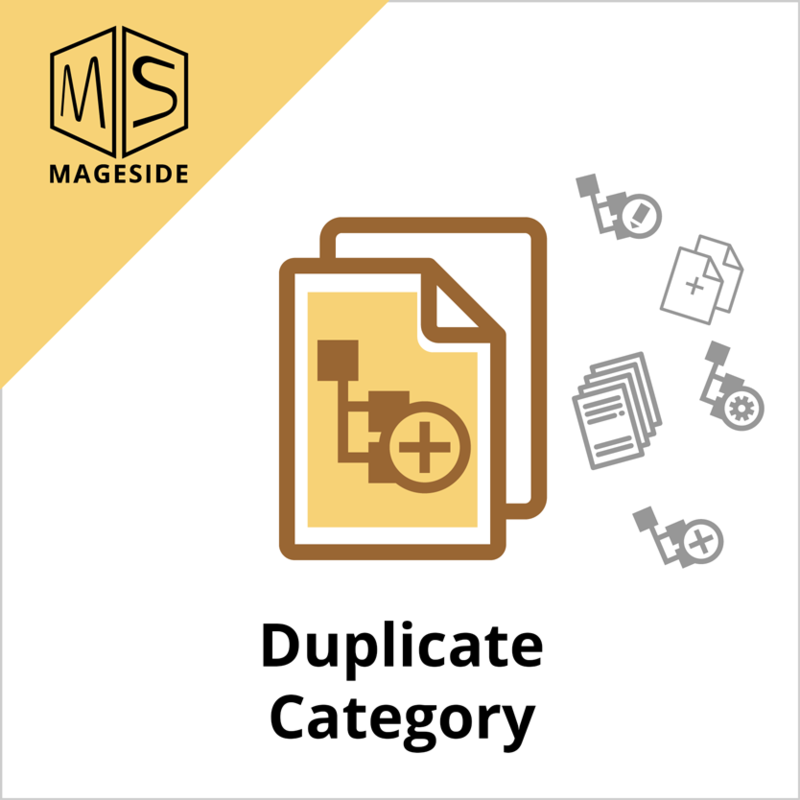 Duplicate Category for Magento 2 will help you to create the categories with the same or similar details as existed categories. You don't need anymore to spend your time copying information and settings. Now such boring and the routine process goes automatically. You just need to spend a few minutes on configuring and duplicating any number of categories. Just a few clicks and the duplication is done. Sometimes you may need to copy all product’s relations and the list of products to the newly duplicated category. 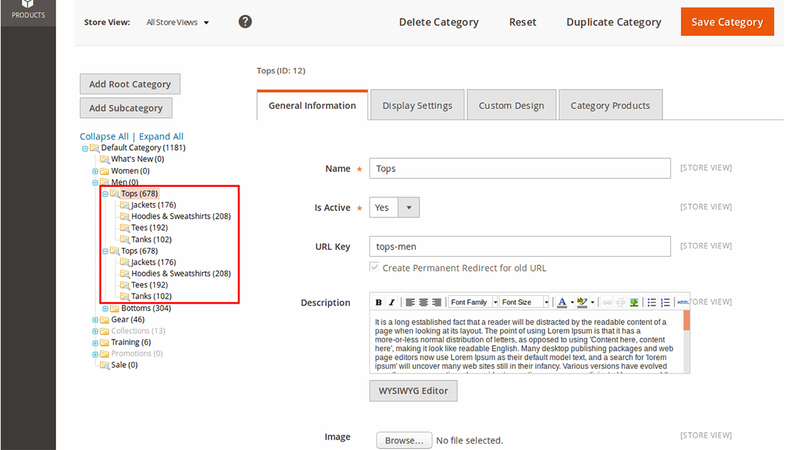 The Duplicate Category extension can do such huge work just in a few seconds. Now you don’t need anymore to spend hours of your time to duplicate all such thing manually. 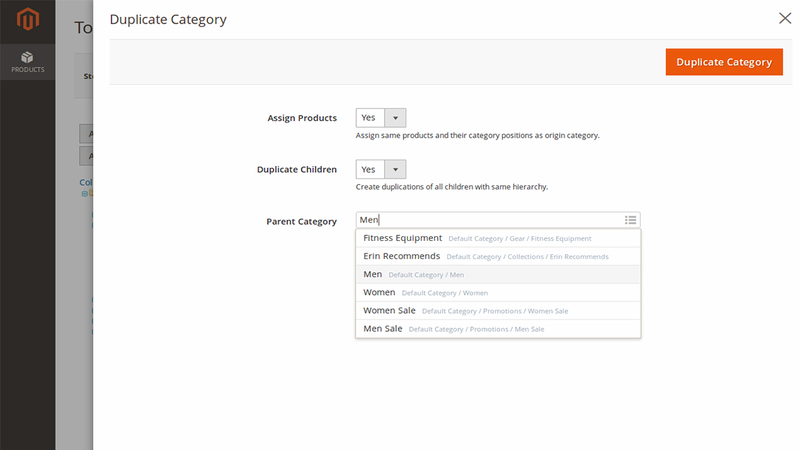 You can choose a parent category for the category you duplicate. Now with the Duplicate Category module, it is very convenient for you to duplicate the categories with the same configuration settings for all subcategories. 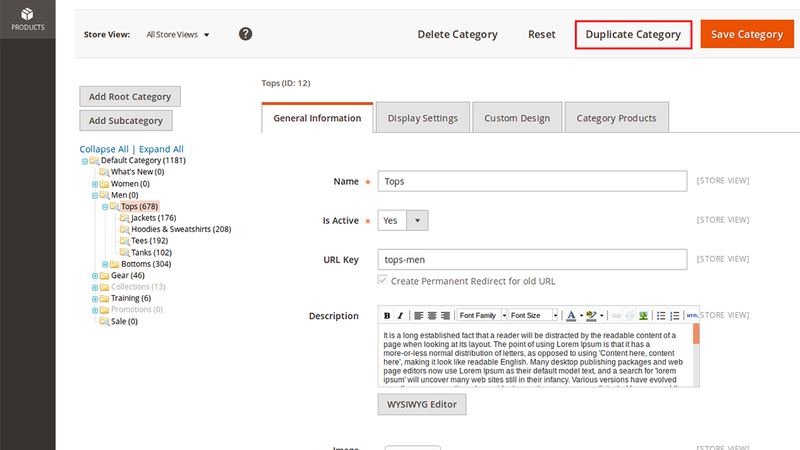 Install the Duplicate Category extension and spend only a few minutes on duplicating the category. If you have a work to do as to duplicate the categories and you want to do that in a correct way, and not to miss category data during duplication, and mainly save hours of your time, Duplicate Category for Magento 2 is a must-have tool for you.